Mamie Gummer didn’t just inherit great acting chops from her mom. Mamie Gummer didn’t just inherit great acting chops from her three-time Academy Award-winning mom, Meryl Streep. In her new movie, “Ricki and the Flash,” you can see she looks just like her, too! Gummer plays Julie, the troubled daughter of Streep’s rock-star character, Ricki. Gummer told ABC News it didn’t take long to realize that being a doppelganger to her superstar mom has both its perks and challenges. Gummer, 32, told Peter Travers she was a bit nervous about taking on the role in “Ricki and the Flash,” which called for her to lash out at Streep on screen. 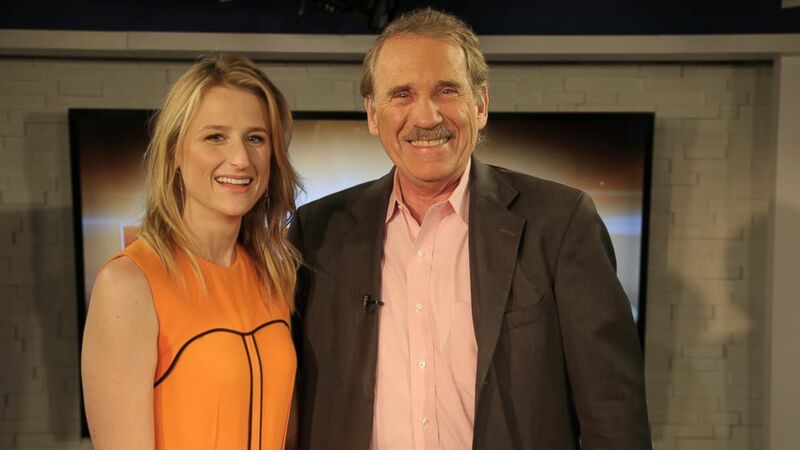 (David H. Miller/ABCNews) Mamie Gummer and Peter Travers are seen here. “I didn’t want her to take it personally, to be wounded at all. But after the first take, after the first couple of takes, Jonathan [Demme] yelled, ‘Cut,’ and I looked to her [Streep] like, ‘Are you OK?’ And she just had this big grin on her face. She was thrilled … because I had done a good job,” she said. While Gummer and Streep, 66, have both chosen acting careers, Gummer says there are still some of her mom’s films she refuses to watch. “There’s actually a lot I haven’t seen. I’ve seen many, but there are ones I just don’t want to see for various reasons, like ‘One True Thing.’ I don’t want to see her suffering. Nor do I want to see anything romantic,” Gummer said, cringing. “So I basically have won an Oscar,” Gummer joked. “Ricki and the Flash“ is in theaters now.